Depending on the type and the year's harvest, new potatoes are usually in season from roughly April to August. 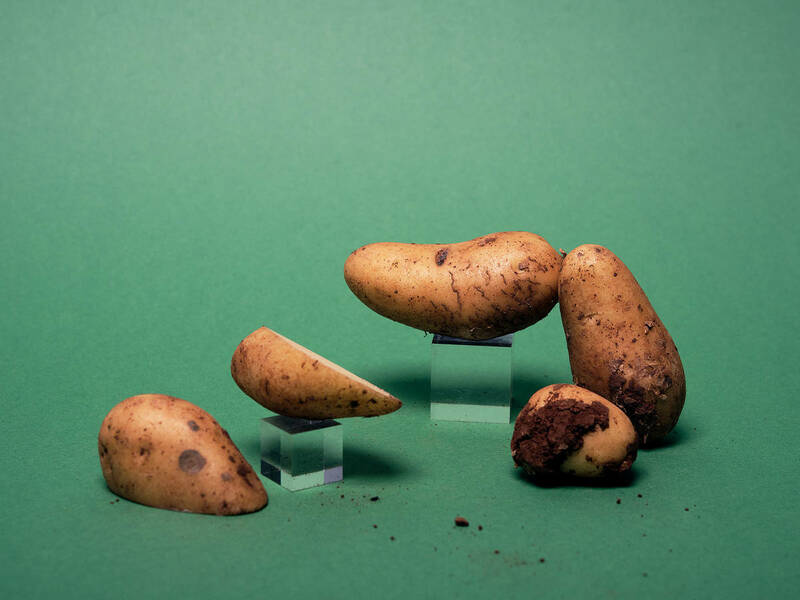 Though they can be purchased year-round as stored goods, ‘proper’ new potatoes should end up on the shelves as soon after the harvest as possible. Most of them have a firm, waxy texture and are delicately sweet in flavor. Although they are all referred to as "new," they are actually just early harvests of many different types of potatoes. Make sure to buy new potatoes in paper bags or loose, as this means they are fresh and have been sorted through. To maximize your potatoes' kitchen life-span and prevent them from going moldy, avoid buying potatoes in plastic bags as they tend to sweat inside. However, even in mesh bags, potatoes are exposed to more light, which accelerates the ripening and molding process. Don’t be afraid to buy dirty potatoes: the residual soil contains micronutrients and actually helps keep the potatoes fresher for longer!